New York, London, February 15, 2017 – Vela, a global leader in high performance trading and market data technology, is pleased to announce that its consolidated market data feed was awarded “Best Data Provider – Equities” in the Fund Technology and Wall Street Letter (WSL) Awards. These awards acknowledge providers catering to asset managers and institutional traders that have demonstrated exceptional customer service and innovative product development over the past 12 months. SuperFeed is a hosted, consolidated market data feed delivered in a simple normalized format. It combines the simplicity and cost efficiency of a consolidated feed with the high performance capabilities of a direct feed. SuperFeed offers a unique blend of fast delivery, scalability, and broad market coverage across Europe and North America, with more than 100 sources including multiple emerging markets. 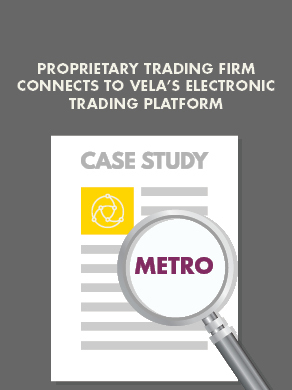 The award also recognized Vela’s world-class customer support and professional services teams as well as its managed services team, which recently won the American Financial Technology Award for Best Third-Party Technology Vendor IT Team.